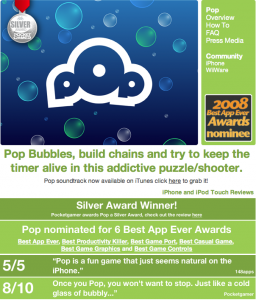 Although we’ve been flat out making our escapeVektor: Chapter 1 and Spirit Hunters Inc games, we haven’t forgotten our fans who have downloaded Pop & Pop Lite on their iPhones. We’ve just released new updates of both games; we’ve streamlined the UI so there are less screens to move through, fixed a music issue on the iPod app while playing the game, and squashed some minor bugs for earlier iPhone models. 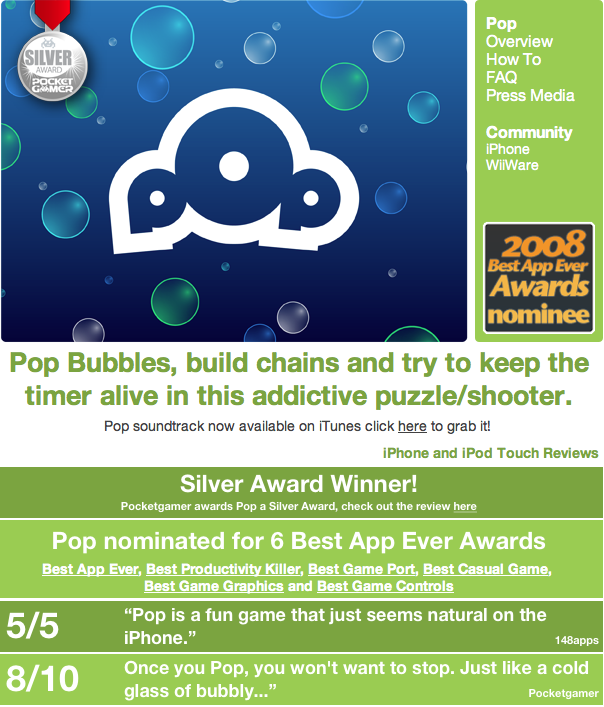 If you haven’t yet downloaded Pop, Pop Lite or our other app Pop Chill, then why not head straight to the iTunes store to have a look at our award winning game.